If you’re looking for the most romantic spots in the Maldives then you’re in the right place. 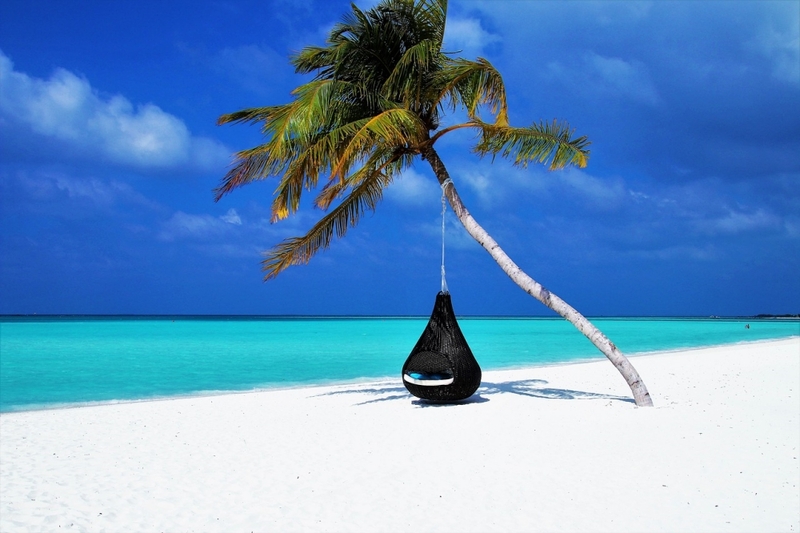 The Maldives is a tropical nation situated in the Indian Ocean known for excellent food, handicrafts, coral reefs, and lovely honeymoon destinations. It’s the best place for couples in love, especially newlyweds, and it’s known as an exotic honeymoon location which should not be missed, no matter what. Malé is the capital of Maldives, known to have some attractions which can never be offered by any other top honeymoon destination. This place has a protected ocean pool which is commonly called the artificial beach. You can sit with your partner at one of the seaside restaurants enjoying the view. If you love adventure, this island also gives you an opportunity to explore your underwater dreams. You can go for a snorkeling trip or even ride underwater scooters. From Malé, you can book one of the tour packages to go island hopping with a cruise ship. What are you even waiting for? Search for Maldives honeymoon packages, now! You would not want to miss living in an overwater bungalow on this island. Regular hotels are for regular holidays. For your honeymoon, you will want something extra special. Stay at the beautiful overwater bungalows made of bamboo and wood. Even though these bungalows are made entirely out of wood and bamboo, they are so much more than your typical 5-star hotel. They are well equipped with a private pool inside the bungalow itself which connects directly to the water. If you would like to book a private spa session with your partner by your side, this is the place to be. If you are not only a hopeless romantic but also a couple who would love to spend an evening full of adventure, Alimatha Island is the best place in the Maldives for you. You can spend your evening indulging in water sports such as Snorkeling and Scuba Diving. This island is the closest to the airport, hence it is generally accessed by speedboats. If you want your trip to the Maldives to be amazingly good from the very start and most importantly with traveling on water at speed, this is the destination you must stop by for at least a night. This island offers you a range of comfortable overwater bungalows lined up in the shape of a flower bud, making it look beautiful at night when all the golden lights are reflected on the water. Your Maldives holidays is just going to be perfect if you start out with this island. If you would like to spend some days or weeks just with your partner doing things you both love without any outside interference, this is the place to be. The hotels don’t even provide you with a TV set. Why would someone want a TV on their perfect honeymoon? Pack your bags for the best trip of your life. Regardless of where you end up, whether it’s one of the most romantic spots in the Maldives or just anywhere on the island, chances are you’re winning. The Maldives is one of the most beautiful and romantic places on earth so you’re pretty well assured that your escape is going to be an incredible one. If you’re looking for more travel tips or want to learn about budget flights, be sure to subscribe so you never miss a post.